Louis Carey Camilleri, a new Ferrari director, told about the name of their novelty and the approximate time of appearance. Recall that the novelty is the first in company history in the SUV segment. The car is expected for 2022. Her name is Purosangue. 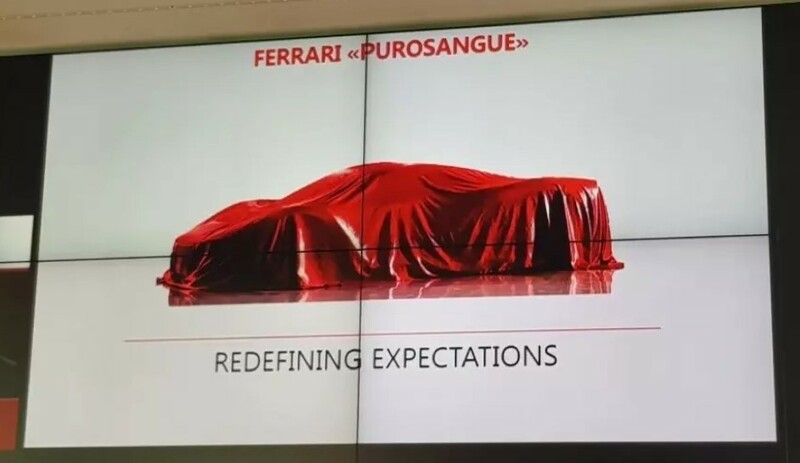 Camilleri specified that, in their opinion, Purosangue is not a Sports Utility Vehicle (SUV), but a completely different product. The novelty is powerful, spacious and versatile, the best in the segment. Traditional twin-turbo V8 unexpected in the car, because in the engine compartment will be a hybrid installation with a V6 base. By the way, for the next 4 years, Ferrari will make 15 new products that will be included in 4 families: Sport, GT, Special Series, Icona.